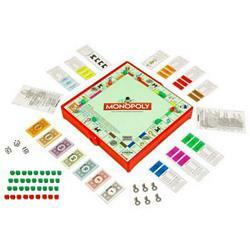 Classic Monopoly play, in a portable way! Make a move: Tour the city for the hottest properties: sites, stations and utilities are all up for grabs. Invest in houses and hotels, then watch the rent come pouring in! Make a deal: Trade with other players and look out for bargains at auction. Make a fortune: Stay sharp - because there's only room at the top for one. For everyone else, there's bankruptcy.